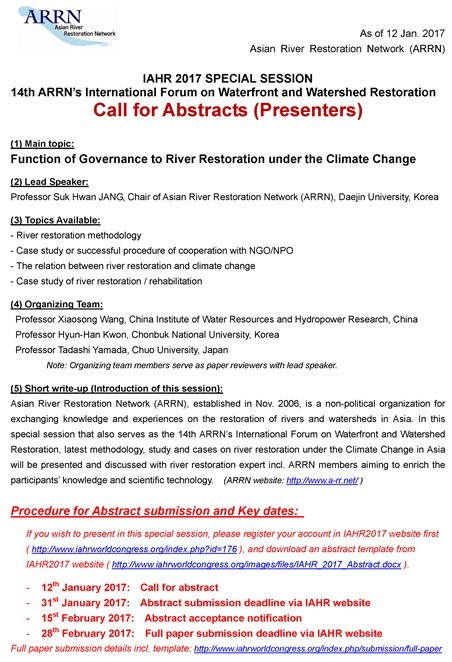 The ARRN annual forum 2017 (14th ARRN’s International Forum on Waterfront and Watershed Restoration) will be held in Kuala Lumpur, Malaysia in August 2017 as the special session of 37th IAHR World Congress. The program for the special session including the procedure for abstract submission and the associated key dates can be downloaded below. Moreover, the template for the abstract can be downloaded below.